Have you taken a look at the label on the back of your fabric softener lately? Or were you distracted by that cute snuggly bear on the front of the bottle? He’s there for a reason you know. A whopping 83.33% of fabric softeners get a D or F rating from the Environmental Working Group (EWG)! Yikes!!! Fabric softeners actually coat our clothes with a layer of chemicals creating that “soft” feeling. No, thank you! Not on my kiddos! 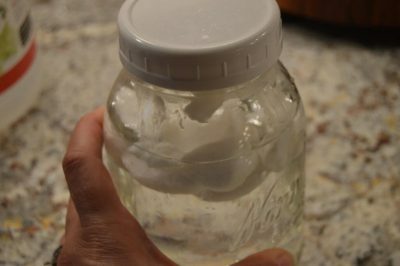 So, I decided to dabble in some recipes to make my own and I came up with a non-toxic DIY Fabric Softener that we really love. 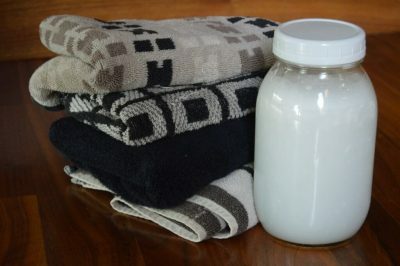 You can make it with the scented (using essential oils) conditioner that I recommend, or you can use the non-scented conditioner that I also link to below and add in your own essential oils to make your own unique scent. I switch it up sometimes and use Purification Essential Oil or Stress Away Essential Oil (because Moms need all the help they can get!). 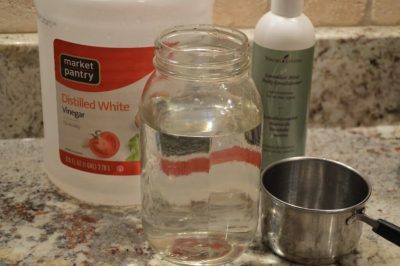 Essential Oils of your choice — I add in essential oils if I use a non-scented conditioner. If I use the Lavender Mint from Young Living, it already adds an amazing scent! User tip: If you want your clothes even softer, then add wool dryer balls to the dryer with your laundry. We do this and it’s awesome! I add some essential oils directly onto the balls, too, for an extra oomph of scent. 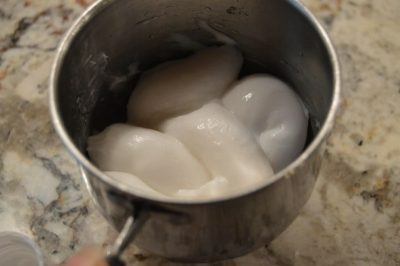 You can even make your own dryer balls following this DIY how-to.